Here's one of those tasks that I get given by my husband from time to time: fix it! He loves these trousers so much that he wears them again as soon as they get cleaned. And look what happened? 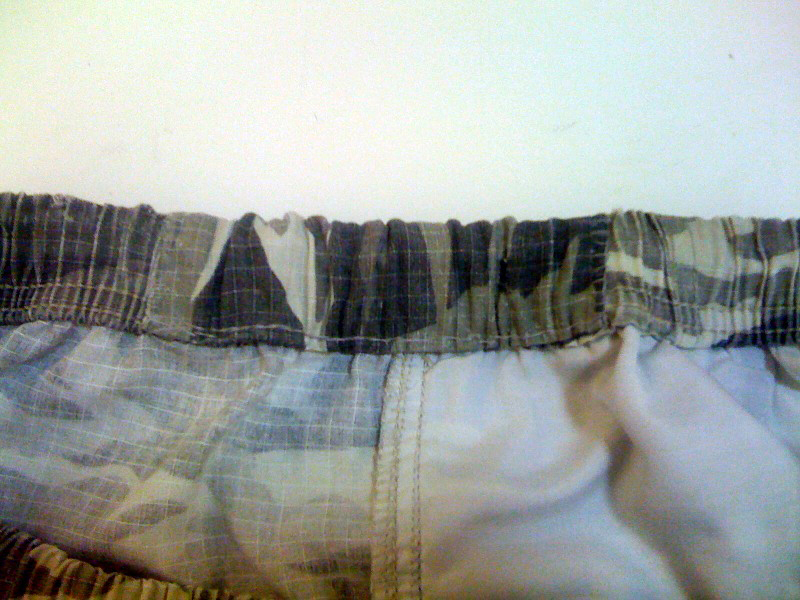 The cloth at the waist band is all ripped. There is such a big hole that can't just be sewn back with threads. Also, the print is a very specific camouflage pattern which means that I can't just take any excess cloth and patch it on. But since the back pockets are mainly for decoration purposes, the rescue is here! Here comes another problem: the waist band is elasticated and sewing can be tricky. So I've used a hanger and some pegs to stretch it out. The actual patching process is pretty simple, just wrap it over the ripped part and sew it on (just a few punctures on the fingers now and again, as the layered material is rather thick). Now the trousers look almost as good as new. Let's hope that it will last for at least 6 months.